Rooms from $73.99 per night. Description This Union City, Georgia hotel has an outdoor pool, free internet access, non-smoking guest rooms and free breakfast. 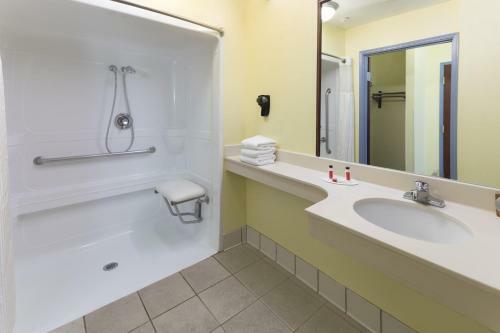 Outdoor swimming and free hot breakfast and Wi-Fi await your arrival off I-85 at the Days Inn & Suites Union City. 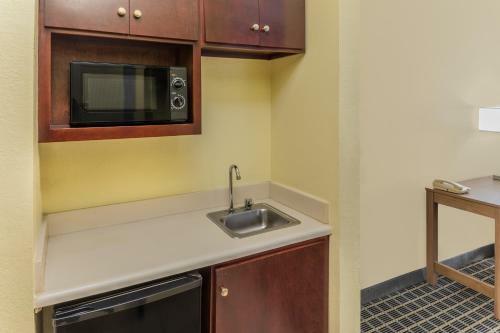 Handy kitchen-style perks including microwaves mini-fridges and coffeemakers combine with free Wi-Fi and flat-panel TVs in all 58 rooms at the three-story Days Inn & Suites Union City and non-smoking rooms are available. Complimentary breakfast includes an array of hot and cold items each morning. Cool off during the warm Georgia summer with a dip in the seasonal outdoor pool. 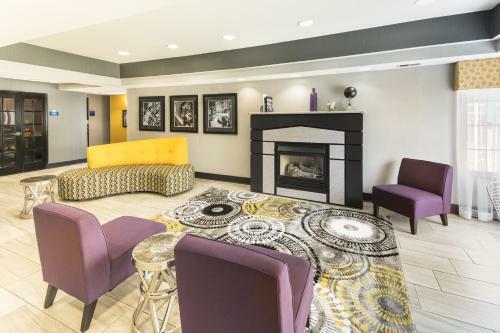 Guests also have access to fitness and business facilities and there are ice and vending machines plus free on-site parking. 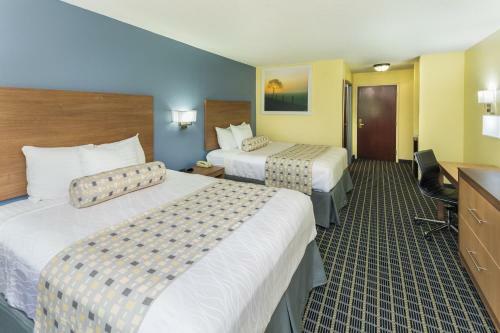 Off I-85 the Days Inn lies within two blocks of a variety of restaurants in Union City. The heart of Atlanta and its attractions including the World of Coca-Cola the Georgia Aquarium and Zoo Atlanta are within 20 miles of the hotel. 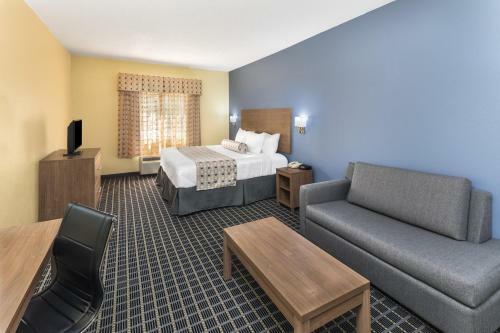 Guests are also within 25 miles of the Atlanta Motor Speedway and 11 miles from Hartsfield-Jackson Atlanta International Airport. 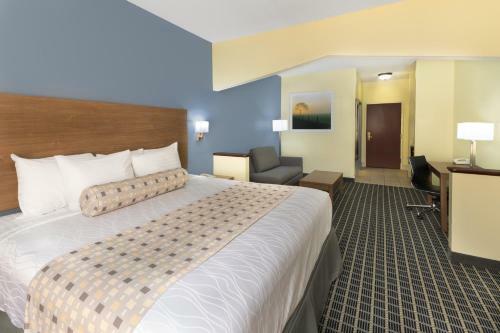 Add Days Inn & Suites By Wyndham Union City to your free online travel itinerary.